Even as Mammootty starrer Peranbu is all set to hit screens on February 1, the actor said he chose the film because of its universal appeal, although the movie is in Tamil. After a special screening of the movie in Kochi, Kerala, the actor said the film has an engrossing screenplay. Mammootty said many people were moved to tears after watching the movie, but the tears were because of happiness. According to The Indian Express, Mammootty said the director of the movie, Ram, decided to work with him as he has many years of experience as an actor, being part of over 350 films. 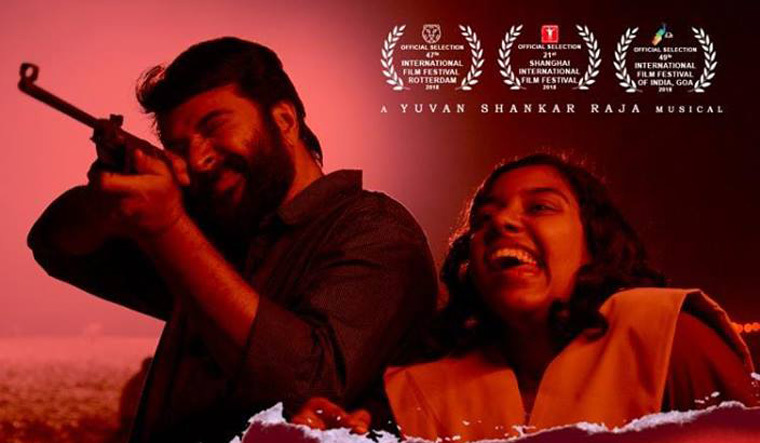 Speaking about Peranbu, the director said Mammootty agreed to do the film after he narrated the story to him in 30 minutes. Ram said he had dreamed for long about working with Mammootty. He said he wanted to make a film that is better than Amaram and Thaniyavarthanam—which saw some fine performance from Mammootty—when he would become a director. In an interview to Scroll, the director said the idea of the film happened by chance after he met a person whose daughter was suffering from spastic paralysis, during a train journey in 2005. He said although Peranbu is not based on this man, his story inspired him to make the movie. Speaking about Mammootty's rold in Peranbu, the director said Amuthavan, played by the actor, is a self-centered man and a coward. The film is about his journey from a selfish man to a man of compassion, through the relationship and the experiences that he shares with his daughter, a spastic paralysis patient. Ram said Mammootty was the only actor who could portray the role of the parent convincingly. Noting that the story has a lot of drama, he said he wanted an actor who could control much of that drama and make it real and believable.